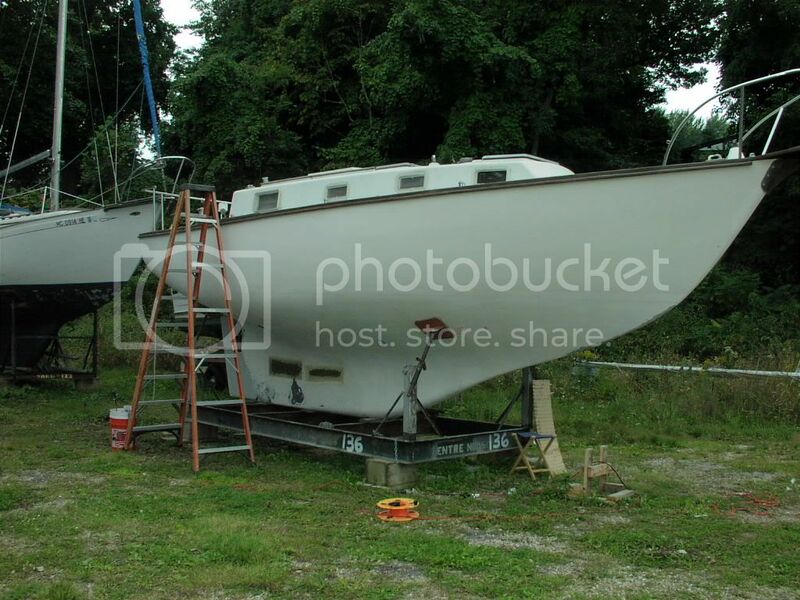 Todd Townsend, author, philosopher, and sailor, is restoring his Cape Dory 28 near Saugatuck, Michigan. His reflections on boat ownership were published in the Nov/Dec 2009 issue of Good Old Boat Magazine. You may link to his article here. When my 1975 Cape Dory 28 is ready, we are heading south to bum around. This spring she will be rechristened Anam Cara, Gaelic for Soul Friend. I have been working on her on weekends since April 2007. Either late this Summer, or next Spring, a major refit will be finished. The refit has/will include re-wiring, re-plumbing, new standing and running rigging, re-wire/prime/paint mast, some minor fiberglass repair on hull, replacement of cockpit floor, and some medium cabinet work in main cabin. I’m going to see if I can get one more season out of the old sails that she came with. I may end up with new(er) sails by the time she is in the water. Hello, Lake Michigan Sailors. As an update, since sending David the email, so confidently, I have run across three boats [none local] that carry the name Anam Cara. I love the name but my boat’s name is in play again. I’ll keep you posted. David – Great site. I have my work cut out for me to live up to “Author, Philosopher, Sailor.” Thanks, I’ll do my best and keep you posted.